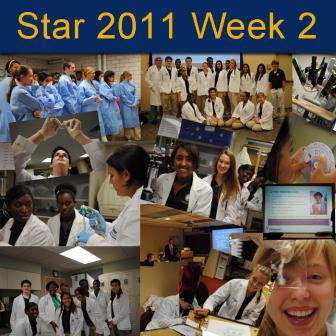 (June 27, 2011) The first week for the 2011 STAR class kicked off successfully, and the STAR students want to share what they learned while exploring Ochsner. Throughout this past week, the students participated in a series of tours spanning the Ochsner campus and learned about a variety of medical departments: Anesthesiology, Medical Illustrations, Radiology, and the Ochsner Cancer Institute. 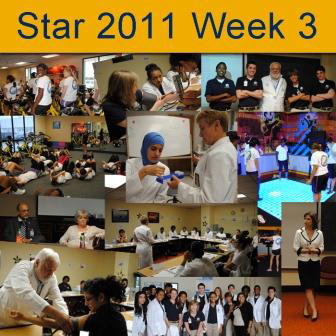 (July 5, 2011) During the second action-packed week for the 2011 STAR class, the students learned about cell phone and Internet safety from an FBI agent, observed a mock surgery performed with the daVinci robot, and gained tips on effective interviewing. In this edition of The Shooting Star, the students put in their two cents on how to be safe on the Internet! 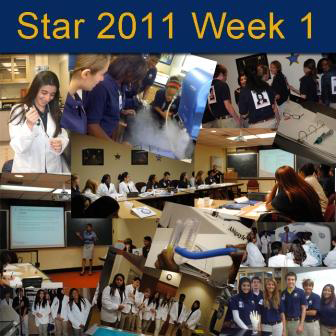 (July 11, 2011) Even in a shortened holiday week, the 2011 STAR class had an exciting 4 days. The students spent an entire day at Elmwood Fitness Center, had a coffee chat with the Academic Division’s two vice presidents, and had lunch with Ochsner medical students from the University of Queensland! In this edition of The Shooting Star newsletter, the students report the results of a survey about their favorite rotation or activity. (July 19, 2011) This week, all of the STAR students became CPR certified. The group also had the opportunity to see one of Ochsner’s helicopters take off to pick up a patient near Baton Rouge. 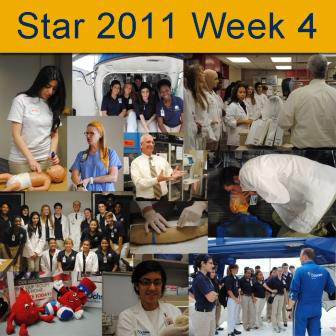 In this week’s edition of The Shooting Star, the students write about their suturing and blood drawing experiences in the skills training center with Dr. Leonardo Seoane.